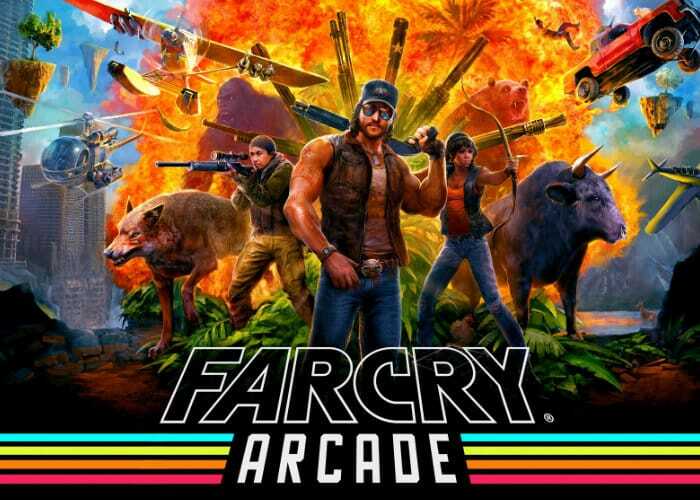 The Far Cry mapmaker will be making a return in the new Far Cry 5 game, and will be aptly named the Far Cry Arcade. Providing gamers with the ability to include elements from other Ubisoft games for the first time. The map making system will enable gamers to create their very own solo, cooperative and player versus player multiplayer levels, using more than 9,000 elements from games such as Far Cry 5, Far Cry 4, Far Cry Primal, Assassin’s Creed: Black Flag, Assassin’s Creed Unity and Watch Dogs. Ubisoft will also be adding more elements over time as the Far Cry 5 content rolls out, alongside a series of live events. All separate from the Far Cry 5 season pass that will provide access to 3 DLCs set in Vietnam, on Mars, and during a zombie invasion together with a copy of the already released Far Cry 3 game to enjoy. Check out the teaser trailer below to learn more about the Far Cry Arcade map making feature that will be available when Far Cry 5 launches worldwide on PlayStation 4, Xbox One and PC systems later this month from March 27th, 2018.